What are common gum problems? What are the risk factors for gum problems? What are signs and symptoms of gum problems? How do health care professionals diagnose gum problems? Can gum problems be a sign of something serious? What is the treatment for gum problems? What are home remedies for gum problems? What are the complications with gum problems? What is the prognosis for gum problems? What is the best way to care for your gums? Is it possible to prevent gum problems? Our gums (or "gingiva") act as an important barrier in protecting our teeth and their surrounding support structures. Periodontology is the dental specialty that studies these support structures and the diseases and conditions related to them. A little known fact is that gum disease is the leading cause of tooth loss in adults. Strong, healthy teeth are dependent on healthy gums. The main culprit for gum problems is bacteria in dental plaque. The bacteria in plaque produce harmful toxins that create an inflammatory process that occurs in the gum tissue. If left for a long enough period of time, bacterial plaque causes damage to our teeth as well as our gums. The most common gum problem is gingivitis and is found in over 50% of the adult U.S. population. Gingivitis is defined as inflammation of the gums. Signs of gum inflammation include bleeding during tooth-brushing, swollen-looking gums, and red gums. Healthy gums generally appear firm, coral-pink, and do not bleed with stimulation. Gums can appear dark from pigmentation in certain ethnic populations, and this is considered normal. The second most common gum problem is gum disease, also called periodontal disease or periodontitis. According to the American Dental Association, 47.2% of Americans over 30 years of age are affected by periodontitis. Periodontitis exhibits similar signs to gingivitis except it also results in gum tissue and jawbone loss. The damage of periodontitis is particularly concerning in that the loss of gum tissue and bone loss cannot be recovered. Periodontitis typically progresses over time and may not produce painful symptoms until the disease reaches the later stages of damage. Unfortunately, this explains why gum disease is the leading cause of tooth loss. A common adult gum problem is gum recession. Gum recession is when the root (or cementum) of the tooth becomes exposed as the gum line pulls away from its original attachment. This could be a result of gum disease as the jawbone surrounding the teeth is lost. Wherever jawbone is lost, gums will follow, and this exposes the root of the tooth. Exposed roots can be sensitive to temperature, are more prone to decay, and can present a cosmetic concern. Other causes for gum recession include teeth grinding, use of chewing tobacco, brushing too aggressively, hereditary weak gums, orthodontic treatment, or trauma. Another gum problem is a gum abscess (or "periodontal abscess"). It presents as a blister or a bump in the gum that contains pus. It is caused by a bacterial infection that takes place in a deep gum pocket and causes pain and swelling. A less common gum problem is oral cancer. Oral cancer can occur on all soft-tissue structures within the mouth. On the gums, it may appear as a red or white patch or a sore that does not heal. A healthy mouth is host to a complex and dynamic community of bacteria. In fact, the presence of oral bacteria is generally beneficial to the well-being of the mouth. Problems begin when there is a change in the balance of the bacteria in the mouth. Oral bacteria are able to adhere to teeth and gums in the form of dental plaque, which is the soft, sticky film that forms on teeth every day. If dental plaque remains for a prolonged period of time, it turns into a hardened calcified deposit called tartar that sticks to teeth near the gums. Tartar cannot be brushed or flossed away. Furthermore, tartar creates an environment for more dental plaque to accumulate. With the overgrowth of dental plaque and buildup of tartar, the balance of oral bacteria in the mouth shifts to unhealthy proportions. With the presence of dental plaque, the gums respond with inflammation. Our body's immune system response through inflammation is the process that can ultimately lead to loss of gum attachment, or "periodontal ligament" and jawbone deterioration. Certain medications or damage to the salivary glands can cause gum problems by decreasing saliva flow in the mouth, leading to a condition called dry mouth. 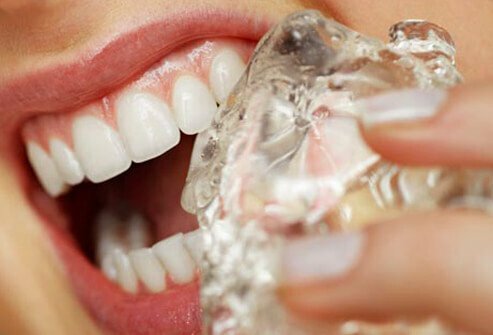 Among its functions, saliva is essential in helping break down our food for digestion, aiding in oral hygiene and keeping the mouth tissues from drying out. Diminished saliva flow or complete lack of saliva allows for bacterial growth in the mouth. In turn, tooth decay and gum problems can occur. In the case of oral cancer, changes at the microscopic level within a cell can occur. Our bodies have mechanisms to destroy this abnormal cell, but sometimes, the cell is able to escape these mechanisms and progress to develop cancer. Smoking: This habit is a strong factor in the progression of gum disease and oral cancer. Genetics: Family history may influence who is more susceptible to gum problems. Diabetes: This systemic disease may cause an individual to have a weaker immune system against gum problems. Other systemic diseases such as cardiovascular disease and heart disease and rheumatoid arthritis have been linked to gum problems, as well. Age: Data from the U.S. Centers for Disease Control and Prevention show that more than 70% of the U.S. population age 65 and older has periodontitis. Poor nutrition: Vitamin or nutrient deficiencies in diet can adversely affect the body's ability to fight off infections, including those related to the gums. Healthy gums should appear coral pink and firm without bleeding. Signs and symptoms of gum inflammation include redness, swelling, bleeding with brushing or flossing, bad breath, and pain. Gums that bleed and/or feel sore while brushing is an indication of a problem. Receding gums may also be a sign of gum disease. Gums recede as a result of the destruction of the underlying bone surrounding the teeth. Once the bone is lost, the gums recede and expose the root surface of a tooth. Persistent bad breath can indicate periodontal disease. Bacteria specific to periodontal disease release volatile sulfur compounds that are often responsible for the symptom of bad breath. A discolored area or an ulceration that does not heal within two weeks are signs of a gum problem that could be unrelated to inflammation or periodontitis. A periodic gum exam performed at the dental office measures the spaces between the gum and teeth called "periodontal pockets," the amount of root that is exposed for each tooth called "gum recession," and other signs of bone loss. Collectively, these measurements give an indication of the overall health of the gums and what areas are problematic. Other indicators of gum problems include the presence of bleeding with measurements, gum redness, gum swelling, bad breath, or a persistent sore or mass that lasts for more than two weeks. If necessary, a biopsy of the affected tissue is performed for diagnosis. Given the fact that gum disease is the leading cause of tooth loss, having healthy gums is certainly something for which we should strive. Loss of teeth can negatively impact an individual in many ways through loss of nutrition, psychosocial concerns, and self-esteem issues. Periodontal disease has been linked to several health problems, most notably, heart disease. Inflammation appears to be the key factor that links heart disease to gum problems. Research suggests that having periodontitis increases the risk of heart disease in an individual. One study shows that mouth bacteria were found in the fatty deposits of people with atherosclerosis. Those fatty deposits can clog arteries and restrict blood flow. If a blocked artery supports the heart or brain, it can result in a heart attack or stroke. A discolored area, lump, or mass that appears to persist for longer than two weeks may be a sign of oral cancer. Early diagnosis by a health care professional is crucial to improve treatment outcomes in this situation. A gum exam performed by a dentist can determine the best way to treat a gum problem. Deep gum pockets may indicate advanced periodontal disease. Periodontal disease treatment can begin at the dental office with a thorough dental cleaning by a dentist or dental hygienist. A gum specialist (periodontist) can treat more advanced gum problems that persist after initial treatment. In the case of gingivitis, a professional dental cleaning may be needed to remove the buildup of tartar and plaque around the teeth. This procedure allows the gums to heal. Additionally, specific oral hygiene instruction and a recommended schedule for routine care are equally important to maintaining gum health. For periodontal disease, treatment is more involved. The first step usually involves a more thorough deep professional dental cleaning called "scaling and root planing." This removes the tartar deposits and plaque that are deeply sequestered in the pockets of the gums. Medications can also be employed to control bacteria infecting the gums. The medications come in the form of antimicrobial (antibacterial) mouthwashes, oral antibiotics, and antibiotics placed directly into the gum pockets. Lastly, there is gum surgery to treat areas that do not respond to scaling and root planing and/or medications. The goal of gum surgery is to remove diseased tissue, preserve the remaining gums and bone, and create an environment that is easy to keep clean. Periodontists perform gum surgeries such as gingivectomy (to trim or recontour gums), connective tissue graft (to strengthen weak areas of the gum line), and pocket reduction (to eliminate deep pockets that trap food debris and bacteria). Usually, gum recession is left alone unless there is an extensive amount of recession that compromises the health of the tooth or there is a cosmetic concern. A procedure called a "gum graft" may be performed that takes tissue from another area in the mouth (such as the roof of the mouth) and surgically grafts it onto the area of recession. 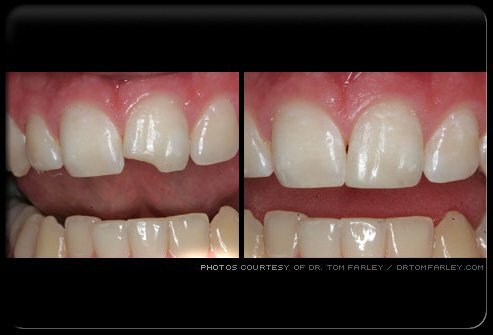 For a gum abscess, scaling and root planing is performed to clear out debris, diseased tissue, and any pus that may be present. The area is irrigated with antimicrobial rinses and may have antibiotics directly placed into the pocket. Oral antibiotics may also be prescribed to help control the infection. Once the abscess disappeared, the area can be assessed for further treatment such as surgery to avoid a reoccurring gum problem. At-home remedies after dental professional care may help soothe sore gums. Make a mouthwash using ¼ teaspoon baking soda, 1/8 teaspoon salt, and 1 cup of warm water. Regularly brushing teeth well and massaging gums at the gumline with a fluoride toothpaste can help eliminate dental plaque and debris to promote further healing. Additionally, flossing to reach between teeth is essential to maintain gum health. Gum (oral) cancer treatment varies based on the stage of disease. Treatment modalities include surgery, chemotherapy, and radiation. A combination of treatment modalities are often used. Gum problems that go untreated usually progress to more advanced stages depending on the primary problem. For gingivitis and periodontitis, the biggest complication is jawbone deterioration and eventual tooth loss. Untreated, a periodontal abscess will grow and allow bacteria to enter the bloodstream to infect the entire body. Oral cancer that goes undetected will progress and spread. The prognosis for gum problems largely depends on when the condition is discovered and treated. Gum problems treated in the early stages have the best prognosis, and the condition process can be reversed. This is especially true of gingivitis, which is a reversible condition. Conversely, periodontal disease has irreversible effects due to the bone loss that can never be regained. Given that periodontal disease is the leading cause of tooth loss, the prognosis can range from fair to hopeless depending on the level of disease present. For oral cancer, early diagnosis is crucial for the best treatment outcome. The latest data shows that five-year survival after the diagnosis of oral cancer is 57%. Survival rates are higher for cancers diagnosed in the early stages. The best way to care for gums is to develop a routine of good oral hygiene at home and regular visits to your dental professional. Seek specific advice about how to properly clean around the teeth. As a general rule, it is recommended to brush twice a day and floss daily. More care and attention is especially important for those with dental braces and dental work such as dental crowns because dental plaque is often retained around these areas. Address any changed areas such as sores or discolored areas that persist in the mouth so that early treatment is possible if needed. During pregnancy, hormonal changes make the gums more sensitive and easily prone to inflammation. Good dental hygiene is essential at this time to prevent a quick progression of periodontal problems. Most gum problems are preventable or, at the very least, can be controlled. For some individuals with inherited periodontal disease, it can be a lifelong effort to keep the condition in check. Identifying problems at an early stage with self-monitoring and regular dental exams is key to avoid potentially bigger problems down the line. Finally, good dental care is essential at home and with your routine dental professional visits. "Gum Disease and Heart Disease." American Academy of Periodontology. Leishman, Shaneen J., et al. "Cardiovascular Disease and the Role of Oral Bacteria." Journal of Oral Microbiology 2 (2010): 10.3402/jom.v2i0.5781. "Oral Cancer Facts." OralCancer.org. May 2015. <http://www.oralcancer.org/facts/>. "Periodontal Diseases: Percentage of Adults with Destructive Periodontal Disease." Oral Health, U.S. 2002 Annual Report. National Institute of Dental and Craniofacial Research (NIDCR)/CDC. "Periodontal Diseases: Percentage of Adults with Gingivitis." Oral Health, U.S. 2002 Annual Report. National Institute of Dental and Craniofacial Research (NIDCR)/CDC. Smiley, Christopher J., et al. "Evidence-based clinical practice guideline on the nonsurgical treatment of chronic periodontitis by means of scaling and root planing with or without adjuncts." Journal of American Dental Association 146.7 (2015): 525-535. When searching for a toothbrush, it's important to choose a toothbrush with a handle that's long enough to comfortably hold it in your hand. The toothbrush head should not be so large that you can't clean hard-to-reach areas. Usually, a soft-bristled brush is the safest choice for most people. Ask your dentist for a recommendation or look for the American Dental Association Seal of Approval on manual and powered toothbrushes.